Gifting your stock to charity could help lower your capital gains tax liability. 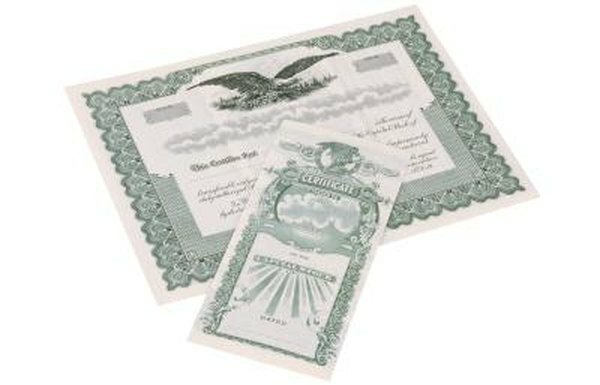 Whether held in paper form or electronically, stock certificates are assets that can be transferred to charities, institutions or people. Stockowners legally transfer ownership by completing a stock transfer statement. Transfer agents are responsible for ensuring the stock ownership transfer goes smoothly and can help you with any questions you might have about the transfer process. Go to the website of the company issuing the stock. Locate the investor relations section and find the name of the stock transfer agent. Contact the investor relations department if you cannot find the information on the website. Now go to the stock transfer agent’s website and download the stock transfer statement. If a download is not available, contact the stock transfer agent and request that a stock transfer statement be emailed or faxed to you. Use the information on the stock certificate or brokerage statement to complete the stock transfer statement. Although the format may be different, all stock transfer statements require the same information. In Section A-Issuer Name, fill in the name of the company that issued the stock certificate exactly as it is printed on the stock certificate. Find the CUSIP number on the stock certificate and fill in the information on the stock transfer statement. Move to Section B-Current Shareowner and fill in the Social Security number, name and address of the current stock certificate owner. Be sure to write the name exactly as it is printed on the stock certificate or brokerage statement. In Section C-Shares to be Transferred, fill in the number of original stock certificate shares, the number of book shares and the total number of shares you want to transfer. In Section D-Transfer Reason, check the box that explains why you are transferring the shares, the date of the transfer and the value per share. Use the stock’s closing price on the transfer date as the value amount per share. Wait before signing your name in Section E-Required Signature and Medallion Stamp Guarantee. Contact your financial institution or local broker to verify they participate in the Medallion Stamp Guarantee program, which is designed to verify the identity of the transferring party. Bring the stock certificate, the stock transfer statement and acceptable identification to the financial institution so that an official can Medallion stamp the stock transfer form. Complete Section F-New Shareowner(s) Account Type if you are dividing the stock between two or more new owners. Complete Section G-New Shareholder(s) Account Information by filling in the number of shares being transferred and the new shareholder’s legal name and address. Do not complete Section H-Taxpayer ID Certification. That section is for the new shareholder to complete. Make a copy of the completed stock transfer statement and paper stock certificate before mailing both documents to the transfer agent. Send the documents via certified or registered mail to the transfer agent’s address, shown on the stock transfer statement. Book shares are shares of stock that are held electronically by the transfer agent, but for which no stock certificate has been issued.